The whole world has been waiting for Star Wars The Last Jedi to be released this week, and it’s finally here. Overall I thought The Last Jedi was a good film, it for sure took a lot of risks and was original in it’s concept. You can read all my thoughts about the film in my The Last Jedi Review. However, there’s no doubt that since 2 years ago when The Force Awakens came out, we’ve been anxiously waiting to find out the answers to so many questions we were left hanging with. Some of those questions were answered in The Last Jedi, some don’t really have answers and of course we were left with new Questions we still have after Star Wars The Last Jedi. 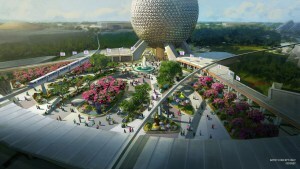 Let’s take a look at what will have our minds spinning for the next two years while we’re waiting for Episode 9. 1. Who the Heck was Snoke? This was the most disappointing part of the entire film to me. Was he a Sith? Was he just a Dark-side force user? How did he organize the First Order? We spent the last 2 years coming up with theory after theory about who the Supreme Leader of the First Order was, how he came into power, where he was during the events of episodes 4-6, etc, etc, etc. And guess what, maybe one of the theories was right after all, but we’ll never know because they decided to kill off a villain who was much more terrifying than Kylo Ren without even explaining one thing. I loved the scene of his death, the whole way it went down was shockingly awesome, and the battle with his guards was epic, but it happened way too quick. My favorite theory was that he was Darth Plagueis, Palpatine’s old master, who as he recounts to Anakin in Episode 3, he killed while in his sleep. Since Plagueis supposedly learned the secret to cheat death and create life, and the fact that his skull was all cracked up and his skin looked burned from lightning, we thought that Snoke could have actually been him. I guess if he cheated death once he could do it again, but chances are we’ll never hear from Snoke again. They should have killed him early in Episode 9 for the shock factor, or even at the end of The Last Jedi, but not before telling us who this character even is. Not knowing how powerful Snoke is takes away from the shock effect his death is supposed to have on the audience and feels like a slap in the face to the people watching to not even tell us who he was. I mean we kind of do, they are nobody. Basically they just told us her parents were drunks who sold her to pay off debts and that’s it. I personally didn’t like this answer and was hoping she would have had a more interesting backstory about where she came from, but I understand why they decided to make this move. So the most likely answer is we will never really know who they are at all. Could there be a chance that though that Kylo was lying to Rey just to try and suede her to the Dark Side? Since Carrie Fisher’s untimely death only months after the filming of The Last Jedi, we all wanted to know how our favorite space princess would leave Star Wars. Lucasfilm has already commented that Leia will not be a part of Episode 9, so it was thought she would meet her end in The Last Jedi. Strangely the film had many chances to kill off her character but didn’t take them. 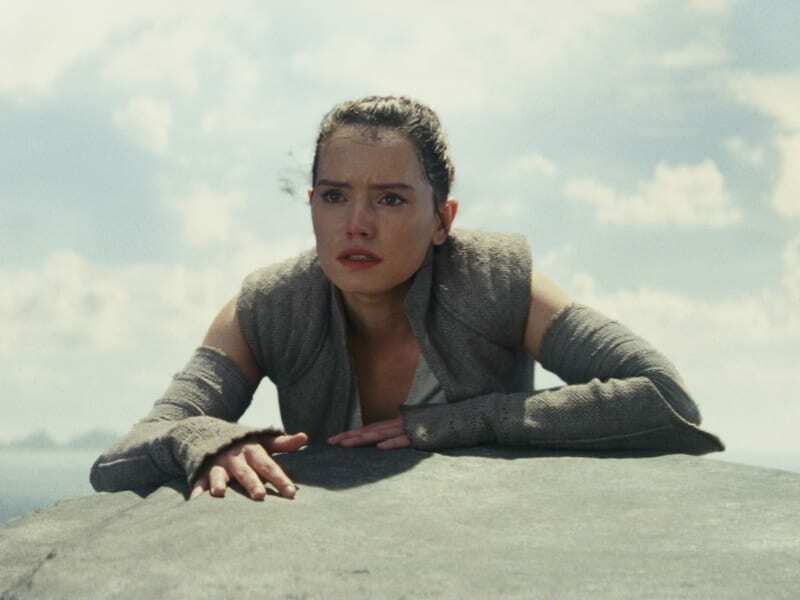 In the scene where she is blown into space when the entire bridge is destroyed of course you thought: “there it is!” But alas she uses her force powers to make it safely back to the ship and spends a good amount of time just lying there in a coma. They also had more opportunities later on when the remaining resistance fighters were escaping to Crait, but Leia makes it through and flies off with the crew on the Falcon at the end. One of the most touching scenes in the movie was when Luke comes to Leia’s rescue in the rebel base, and the twins share one final moment together looking at Han’s lucky dice which were hanging in the Millennium Falcon. I think we should remember that scene as Leia’s goodbye as nothing in Episode 9 could match that. 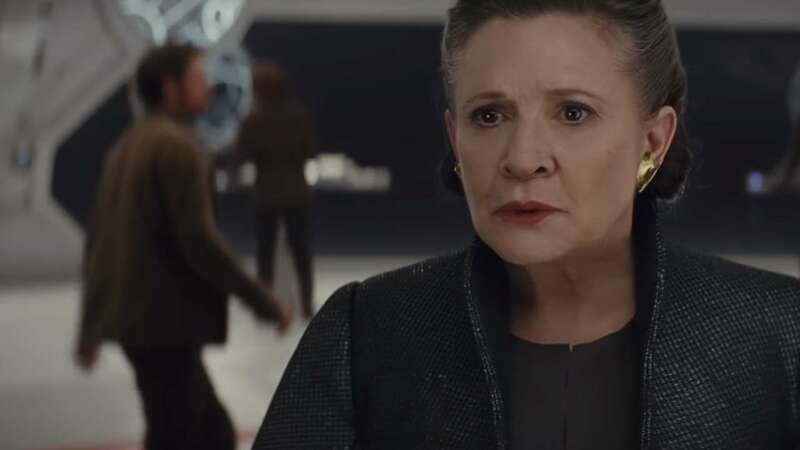 My guess is before Episode 9 we will have a time jump of some sort and Leia will have an off-screen death, especially as Lucasfilm has repeatedly said they will not make another CGI Leia after Rogue One. 5. How did Maz End-up with Luke’s Blue Lightsaber? In The Force Awakens Rey went down into Maz’s basement and we saw Luke’s old blue lightsaber calling to her in a vision. Only problem is that lightsaber was in Luke’s hand in Empire Strikes Back when Darth Vader cuts it off, and we see the lightsaber go falling down into the clouds on Cloud City. Somehow though Maz has it in her possession and when she’s asked how she got it, she just says that a story for another day. I thought for sure they would go a bit into explaining how she ended up with such an important relic in the Star Wars universe, but we see Maz for like 2 seconds through a hologram and that’s it. 6. How can Rey be So Powerful with So Little Training? This is a good one. Yeah I get that she is extremely powerful with the force ok. But this is something that’s bothered me since The Force Awakens. 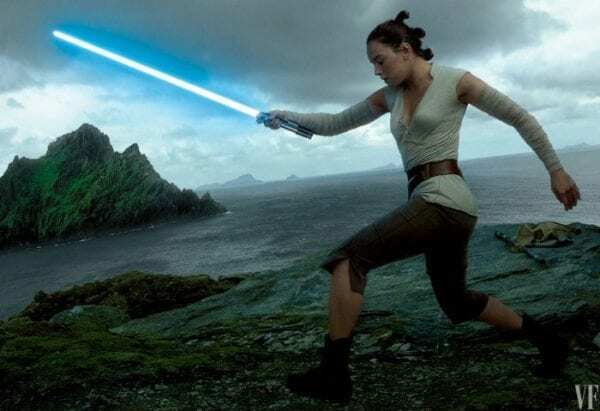 There you had a young Kylo Ren, who we learn was at least strong enough to kill off all Luke’s Jedi students, and as already had lots of training by Snoke, but then when Rey confronts him by the end of the film, she handily defeats him in lightsaber battle. Granted he was injured from Chewie’s crossbow but still it was a bit unrealistic someone who has never had any lightsaber training whatsoever could defeat someone of Kylo’s level. 7. Are Rose and Finn Now a Couple? 8. How will the Resistance Survive? 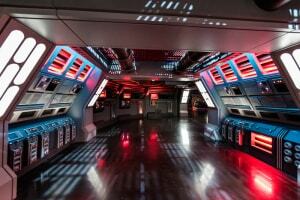 Let’s be real, when it comes to size and firepower, The Resistance is no Rebel Alliance. Heck, by the end of The Last Jedi, there are about 10 people left who are fighting for the cause. Plus when at the base on Crait, the sent out a distress signal to the surrounding planets and no one answered the call. Doesn’t seem like they have many friends left. Obviously it can’t continue on very long like this, and to make it much more interesting in Episode 9, I think we’ll see a jump in time of a few years at least in order to give them a little time to get some sympathizers to the Resistance. Leia can’t be the head anymore, so I think we’ll see Poe in the leadership role, if not as the general then close to it. 9. 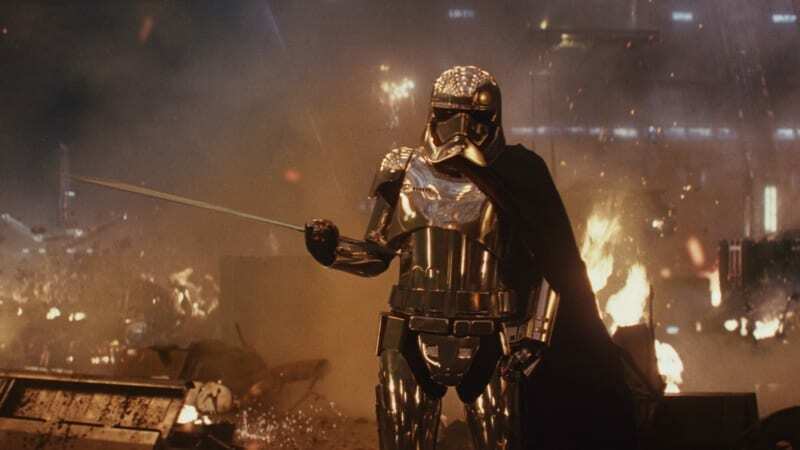 Is Captain Phasma Really Dead? 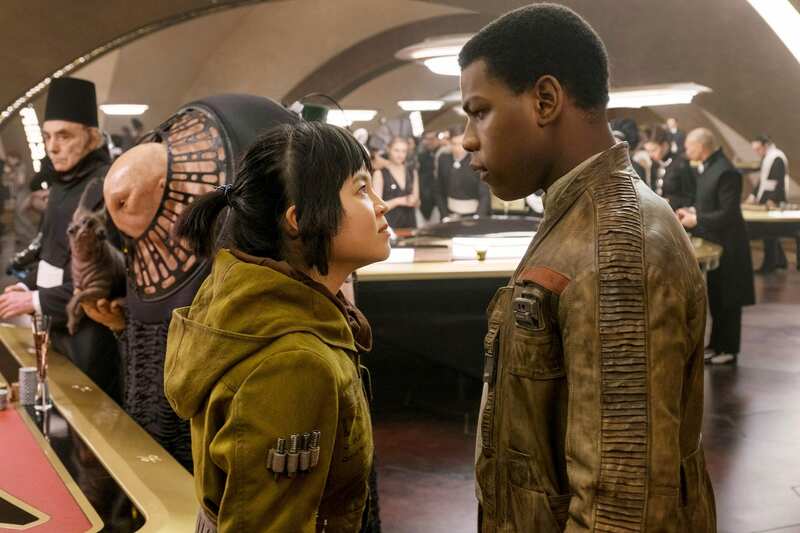 The showdown between Finn and Captain Phasma is something we’ve been waiting for since Finn took her hostage on Starkiller Base, and we got a sneak preview in the Last Jedi Trailers, so we knew it was coming. At the end we see her get beat by Finn and she’s pushed down into a huge fiery abyss on the ship which is currently exploding. Any normal person falling over 100 feet onto a wall of flames wouldn’t survive, but somehow I don’t think this is the last we’ve seen of our favorite chrome stormtrooper. Disney has given her much too little screen time for them to kill her off so fast, and you know that the main characters don’t die that easily. 10. Can Ben Solo be Redeemed at this Point? This seems almost an impossibility at this point. He killed his dad Han Solo. He spent the first half of the movie force-texting with Rey in a debate about who should join who. The he killed his Master Snoke and had the perfect opportunity to defect and join Rey on the light side, but ultimately rejecting it and deciding to replace Snoke as the Supreme Leader of The First Order. 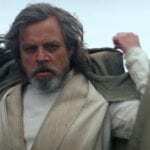 Then when he meets Luke once last time on Crait you can see the anger burning within him as he unleashes an unimaginable amount of firepower on Luke in an attempt to destroy his former master. Even Rey and his own mother have closed the door on him coming back at this point. I would say chances are slim to none. 11. What is in those Jedi Books? 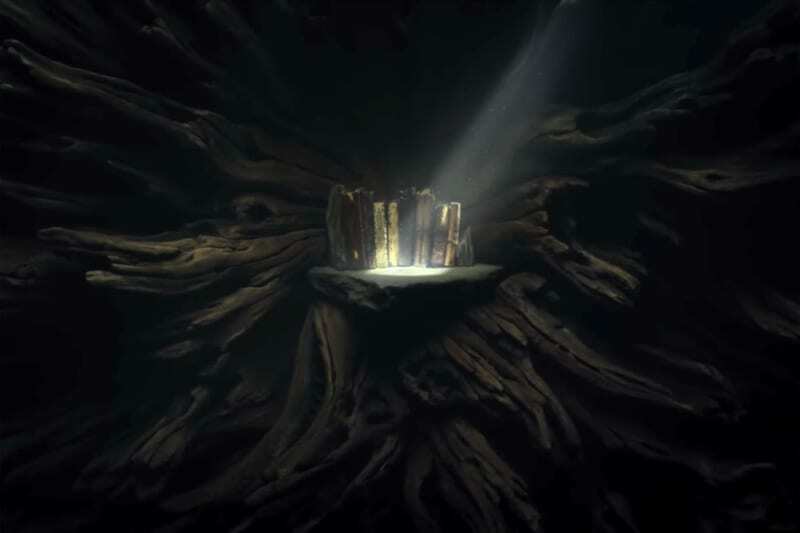 Ever since seeing the Jedi books in The Last Jedi trailer, Star Wars fans have been salivating to find out what’s in them. We do find out from Luke that essentially they are the original Jedi manuscripts with all the secrets of the Jedi Order in them, the last remnants of their religion. Luke however is hell bent on destroying them (wth are you thinking man?) until Yoda comes along and does it for him, explaining that everything he and Rey need are already in their minds. Yoda I love you man, but I’m not buying that crap and I want to know what’s in them. Thank goodness Rey does to because at the end of the film we see she’s safely stored them onboard the Millennium Flacon so she can learn from them at a later time. By the end of The Last Jedi we still don’t know exactly what’s in them but there’s a chance we might next time. 12. Who and Where are The Knights of Ren? 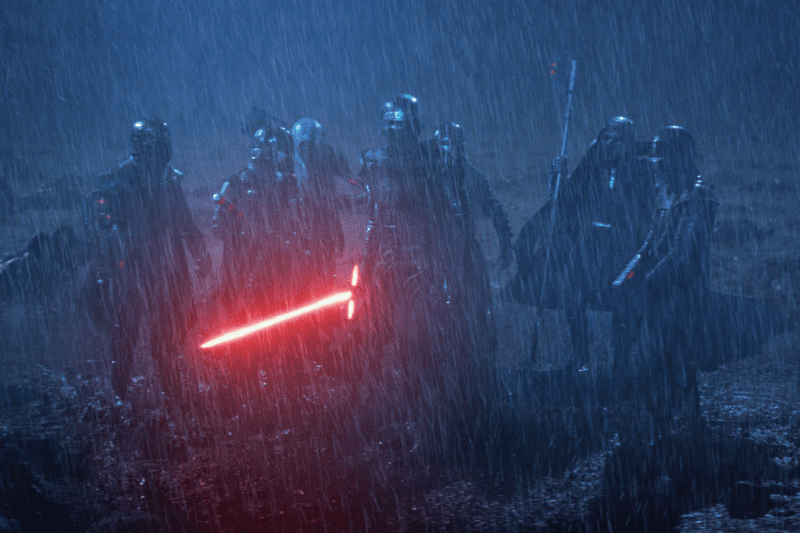 Back in The Force Awakens, we first got word of The Knights of Ren, but we haven’t really seen them, only a small bit in a flashback. 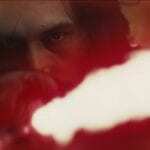 In The Last Jedi when we learn about what happened between Luke and Ben, we learn that after crashing the house down on Luke, some of his students follow him to the dark side and they kill the remaining young Jedi. Of course it seems almost certain that these followers are The Knights of Ren. However we never hear anything more than that. We didn’t see them at all. They were non-existant in The Last Jedi, and this is a major let-down to me because of how hyped up they were in the first movie. How awesome would it have been to get a fight between them and Luke and Rey? I was sure we’d get to see them at least a bit. Are they still alive? Are t hey just hanging out somewhere playing Dejarik somewhere, waiting for Kylo’s call? 13. Just How did Luke pull that Force Projection Trick? This “Force projection” has never come up in the film saga before, although there is precedent for this power in the old, non-canon Expanded Universe. In the Dark Empire series, in which a resurgent Emperor finally turns Luke to the dark side, the Jedi is able to project doubles of himself when needed. There’s also a sort of “Force projection” in the Dawn of the Jedicomic series, which tells the origin story of the Jedi and the Sith, where agents of the dark are able to project “shadows” of themselves to explore distant planets and travel long distances without leaving their point of origin. Wherever Luke found this new technique (probably from those old Jedi texts? ), it clearly takes a lot of energy and power to perform. 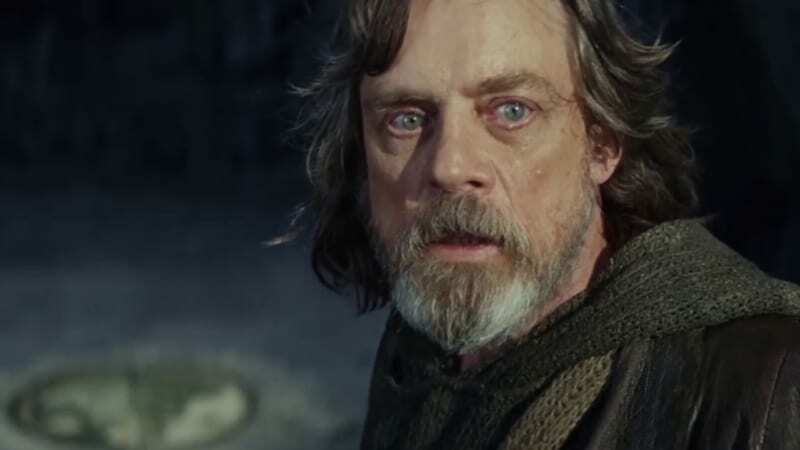 Luke’s plan to save the Resistance will ultimately cost him his life, as the projection seems to feed on his life force. Luke and Kylo’s duel is brief, as the Jedi Master evades the Supreme Leader’s attacks without ever actually swinging his lightsaber. (There’s a pretty cheesy “bullet time” moment during this scene.) When Luke’s sure that the Resistance has finally found a way out of the base – they follow that crystal fox, which is actually called a vulptex, to an exit – he pulls the rug from under Kylo. 14. Can Force Ghosts Now Manipulate the Physical World? 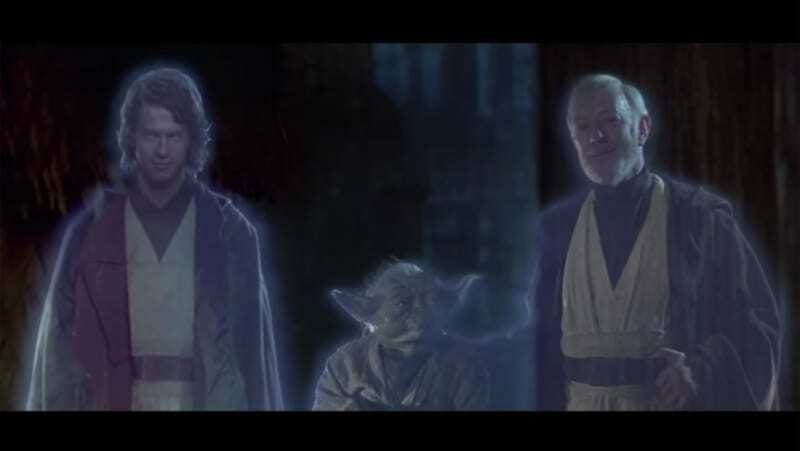 5e learned in Revenge of the Sith that Master Qui-Gon Jin had learned how to communicate with the other Jedi after dying, but while we have seen plenty of Force Ghosts in the Past: Obi-Wan, Yoda, Young Anikan, we haven’t seen them take part in the physical world more than just talking to our characters. That changed when Yoda comes back in The Last Jedi and blasts the hell outta the Jedi Tree. That begs the question: Can Luke, Yoda or any other Jedi come back and help physically in the fight against Kylo Ren and the First Order in Episode 9? 15. 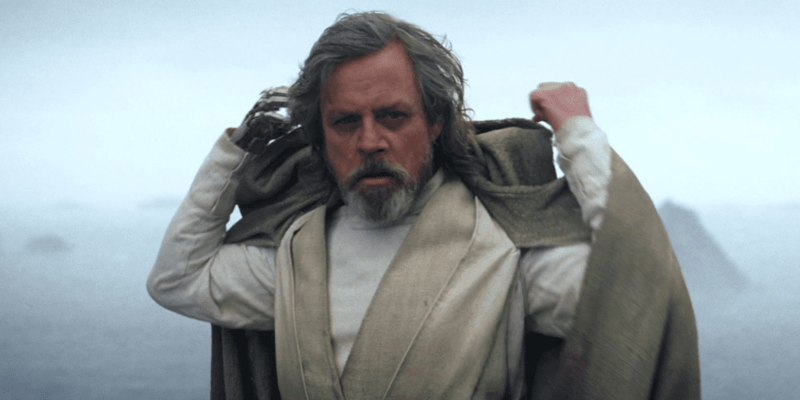 Will We See Luke Skywalker Again? Chances of this happening are high imo. Yes Luke does die in the end, having used up all his energy in his Force Projection trick which totally fooled Kylo, but as you know in Star Wars, just because someone dies in their physical form doesn’t mean they won’t be back. Obviously as I mentioned before, it even seems that Force Ghosts are getting more and more powerful as Yoda showed. His final showdown with Kylo were reminiscent of Obi-Wan with Vader when Obi-Wan said “if you strike me down I will become even more powerful,” and Luke made him understand something of a similar nature. He even says: “see you around, kid.” His final words to Kylo might in fact serve as both a warning and taunt. Plus he has some more training to finish with Rey for sure. He’ll be back! 16. What Role Will the Stable Boy at the End of the Film Have in the Future? At the end of the film when Luke Skywalker, Rey and Chewie save the day, the last scene goes back to an orphan boy we saw earlier on Canto Bight. You see the boy re-inacting a battle versus the First Order as he looks to the stars and sees a ship speeding by. However you notice that this isn’t just your ordinary stable boy, but he uses the force to grab the broom next to him. Who is this kid? In reality he’s probably a nobody just like Rey apparently is. This is Rian Johnson’s way of reminding everyone that you don’t have to be part of Galactic Royalty to make a difference in the battle, anyone can be special. 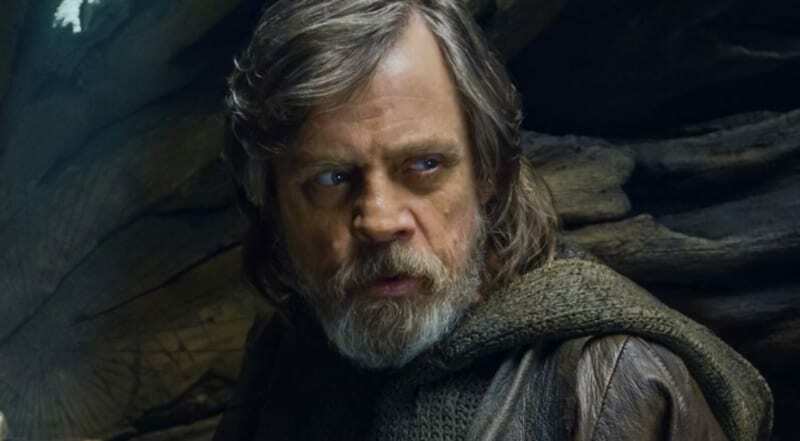 Luke also reveals that he will not be the last Jedi, and for that matter we doubt Rey will be either. She is likely to pass on the Jedi way to a new generation of force wielders from all backgrounds. Does that mean the boy from the stables will be in Episode 9? Unless there is a huge time jump I’d probably say no. 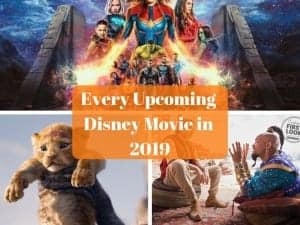 But we know that recently a brand new Star Wars Trilogy was announced, and we know it won’t be connected to the Skywalker family story. Could this boy will be the protagonist for that trilogy? Or much in the way Marvel has done mixing it’s MCU films and TV shows, maybe this boy will be part of the Star Wars live-action series which we also know is coming. Or is the boy a symbol of oppressed people throughout the galaxy the will band together to form another resistance in the future. It could go any way, but we will be able to identify him again one day by that Rebel Ring Rose gave him if it happens. As you can see there are still a ton of questions that are still unanswered after The Last Jedi to speculate over the next 2 years. Hopefully in Episode 9 they do a much better job at answering them! And I sincerely hope that Avengers Infinity War doesn’t leave us hanging with this many questions after it comes out in may! I want to know what your Questions after Star Wars The Last Jedi are. Which question is the most important to you? Which questions do you think we’ll get an answer to? Which ones will be secret forever? Let us know in the comments section below!